It was initially considered something of a big deal when, on November 30, the Organization of Petroleum Exporting Countries (OPEC) ended years of squabbling and mutual frustration by announcing that their members would cut oil production in the coming year by 2 million barrels a day. If the deal holds, it will represent the first reduction on the global markets in eight years. 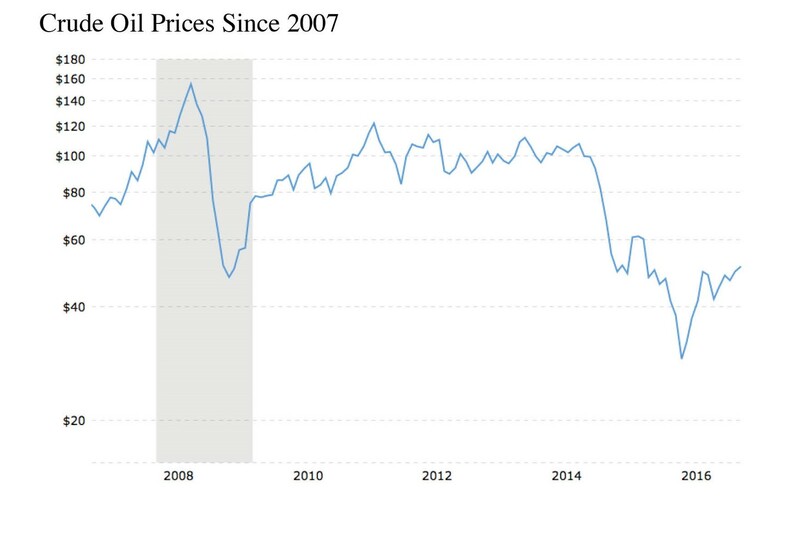 Upon the announcement, oil prices briefly moved up to just over $50 a barrel, making a mild price rise a bit sharper (see chart). But then, as analysts have taken a closer look at the deal, they realized that prices may stay right where they have been despite the announcement. Why? For one thing, the deal is contingent on the cooperation of a number of non-OPEC countries. The largest producer outside the cartel is Russia, whose economy is highly dependent on energy production and has faltered dramatically due to international sanctions and low oil prices. Venezuela is also not expected to reduce production, due to a faltering economy. Meanwhile, even some OPEC members may not be reliable in their compliance. Iran has re-emerged as a major producer now that its punishing economic sanctions have been lifted. Its crude oil production amounts to about 3.7 million barrels a day, and Iranian officials have talked about achieving 4.8 million barrels a day by 2021. Does that mean the country will reduce production just to please its geopolitical enemy Saudi Arabia? Still mired in civil war, Libya has managed to double its own oil production to around 600,000 barrels a day and is not likely to give up its newfound market share. Iraq has expanded production by 300,000 barrels a day since the summer, and despite OPEC’s decree, Nigeria has pledged to increase oil production to 2.2 million barrels a day by the end of the year, up from 1.9 million currently. Whether any of these countries will act against their own interests and comply with the cartel’s agreement is an open question, but it’s worth noting that Iran was pushing for an exemption from any cut before the final announcement. Finally, if the production cut actually achieves its goal of pushing oil prices higher, some of the biggest beneficiaries would be U.S. companies that have seen their investments in shale production unravel. Higher prices on the spot markets would unlock enormous oil production in the U.S., which might stabilize prices and unravel OPEC’s tentative accord.